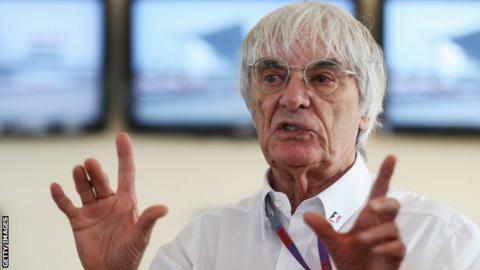 The Nurburgring has agreed a deal with Formula 1 boss Bernie Ecclestone to host the 2013 German Grand Prix. The Nurburgring and Hockenheim host the race on alternate years but financial problems at the former have caused uncertainty over this year's event. Ahead of the race which will take place on 7 July, Ecclestone said: "I treasure the Nurburgring and its history. "In view of its long tradition, I was glad to support choosing the Nurburgring as the venue for F1." On Wednesday, rivalry between the two German Grand Prix circuit owners threatened to see the race drop off the calendar altogether. The AvD (Automobilclub von Deutschland) who own the Nurburgring were adamant the race could not be transferred to Hockenheim if they could not host it. Both automobile associations pride themselves on staging a race known as the 'German Grand Prix'. The Nurburgring, which is 90% owned by the German regional state of Rhineland-Palatinate, ran into financial trouble amid a dispute with track operator NAG over leasing fees. The state are under pressure to see a return from their funding after spending millions of euros on a racing-themed amusement park at the venue. The deal means 19 races have been confirmed for the 2013 calendar, with the vacant 21 July slot yet to be filled. The BBC will be providing live coverage of 10 races in the 2013 Formula 1 season across all its platforms.